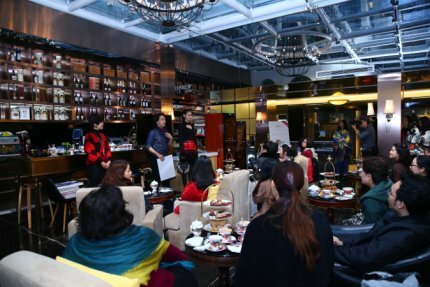 During the weekend following Christmas, Vivienne Westwood organized two VIP events featuring fashion and English afternoon tea. With the theme being England, tartan pattern appeared in many places. In these two day VIP events, guests were taught how to dress in proper British attire to attend an appointment. 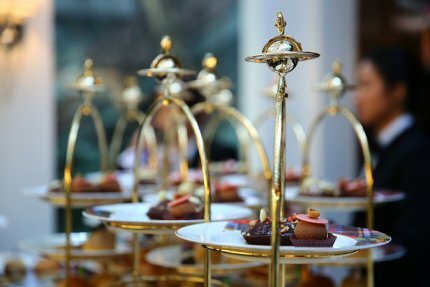 Besides serving the delicious English afternoon tea set using delicate Vivienne Westwood tartan tableware, an experienced fashion stylist was there to introduce the latest fashion trend in England and the Royal Family. Models demonstrated the current collection of Vivienne Westwood featuring different styles of tartan and checkered patterns. In addition to viewing the beautiful designs presented by the models, which was a feast for the eyes, guests enjoyed a traditional British afternoon tea which added up to double enjoyment. 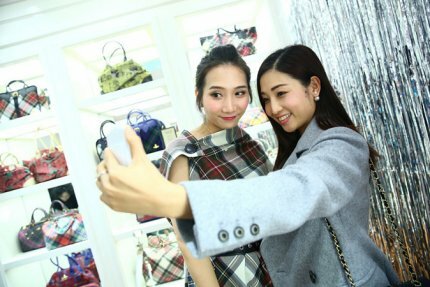 Upon completion of the afternoon tea and fashion demonstration, all guests were greeted at the Vivienne Westwood boutique at La Perla for a styling session. 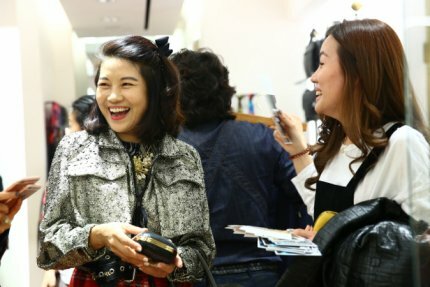 Guests were excited to practice their styling techniques after gaining some inspirations from the fashion stylist. A special gift from Vivienne Westwood was awarded to the group of guests who was chosen as the best styling group by our stylist. A professional photographer was on site to capture all the memorable moments of the well-dressed and happy guests.